The American economy has looked pretty robust of late—unemployment just hit a 16-year low, and stocks recently reached an all-time high. This makes it all the more curious that Americans have suddenly stopped paying off their credit-card bills at a rapid rate. In the past two fiscal quarters, banks reported a steep rise in credit card charge-offs—debt that companies can’t collect from their customers—according to a report from Moody’s. The sharp increase, the largest since 2009, is especially unusual given how strong the US employment market has been, Moody’s noted. It suggests that American consumers haven’t fallen on hard times so much as banks have started to loosen their standards and issue credit more aggressively. Card issuers have been much stricter since the financial crisis and the passing of the Card Act in 2009, which added an array of protections for consumers. Getting a credit card got a lot tougher, especially if you had subprime credit. Story by Alex Morrell for Business Insider. In a new program, Amazon said that Prime members can earn a 2% rewards bonus for money they spend on the company’s site. The catch? They’ll have to stop using their credit cards to make purchases. Under Prime Reload, customers are encouraged to deposit money into an account using their debit cards instead of just using their credit cards to make purchases, which will cut down on those pesky fees that Amazon has to pay. To get started, consumers will first have to provide Amazon with their bank account and routing number, a debit card number, and their U.S. driver’s license number. After that, users can transfer money directly into an Amazon account using their debit card and use that money to pay for purchases. Story by Christopher Maynard for Consumer Affairs. Federal Reserve officials forged ahead with an interest-rate increase and additional plans to tighten monetary policy despite growing concerns over weak inflation. Policy makers agreed to raise their benchmark lending rate for the third time in six months, maintained their outlook for one more hike in 2017 and set out some details for how they intend to shrink their $4.5 trillion balance sheet this year. In a press conference after the decision was announced, Fed Chair Janet Yellen said the unwinding plan could be put into effect “relatively soon” if the economy evolves as the central bank expects. Story by Christopher Condon and Craig Torres for Bloomberg. Canadian merchants may soon start charging customers extra to pay with certain credit cards thanks to a settlement agreement in a class action suit. The suit, which was filed in 2011, alleges that Visa and MasterCard rules forced merchants to accept all their credit cards, even ones that charged retailers higher fees. Those rules did not allow merchants to add a surcharge for customers who use these premium cards. Visa and MasterCard agreed to pay $19.5 million each and allow Canadian merchants to add surcharge fees on credit card payments. The revised rules will include a surcharge cap. Story by The Canadian Press. Customers approved for a Walmart credit card can now use their card before it even arrives in the mail. The Walmart Pay feature of the company’s mobile app allows you to use new credit card immediately, both online and in stores. To access the new line of credit, set up a Walmart online account, if haven’t done it already. Then add your temporary shopping pass credentials, which is provided when you’re approved for the card, to Walmart Pay. You’ll need to update Walmart Pay again when the physical card arrives. Story by Melissa Lambarena for Nerd Wallet. Consumers, beware of confusing retail credit cards. That’s the message from the Consumer Financial Protection Bureau. The agency said it has sent letters to major retail credit card companies to reconsider a pricing method some of them are using because it may “lack transparency to consumers.” “Deferred interest” means they offer no interest for a set period of time, as long as the balance is paid in full by the end of that promotional period. For consumers who are able to pay that balance off, a deferred-interest card can then be a viable option. The problem, the bureau said: Many consumers do not realize they will be charged interest retroactively on all the purchase made during the promotional period if they do not pay the balance in full. And it may not be clear from reading the cards’ terms that this is the case. That’s because the card companies charge consumers accrued interest on that promotional balance from the time they made a purchase. Story by Maria LaMagna for MarketWatch. Nine out of ten (91%) finance professionals believe that cyberattacks and payment fraud will get worse within the next three years, according to a survey from TD Bank. Nearly two-thirds (64%) of survey participants said their organization or one of their clients had been involved in a cyber security incident within the last year. Email compromises were the most popular security threats, with 20% of finance experts having experienced an email hack. This was followed by account takeovers at 19% and data breaches at 15%. All have the potential to affect the financial accounts of a business, as well as consumers that use the company’s services. Many finance professionals believe that automating payment systems will reduce cybersecurity threats, but adoption of those methods has been slow. Story by Lynn Oldshue for LowCards.com. Visa, the official payment service partner of FIFA, announced that football fans attending the FIFA Confederations Cup 2017 will have access to enhanced payment experiences at official FIFA stadiums. According to a press release, Visa said it is implementing 1,600 point-of-sale terminals and deploying 120 mobile concessionaires throughout the stadium concourses, enabling a cash-free experience from kick-off to the final match. These enhancements ensure official FIFA stadiums are equipped with the latest in payment innovation, giving fans safe and secure ways to pay – whether it is a click, dip, tap or swipe. Among the payment methods Visa is launching include Visa commemorative prepaid cards, which can be reloaded at contactless Alfa-Bank ATMs throughout the stadiums, and Visa contactless credit or debit cards and mobile payments with Visa at NFC-enabled terminals. Story in PYMNTS. A new report on how mobile banking is used in person-to-person transactions suggests that using a cellphone or tablet to make payments is a growing trend among baby boomers. A survey commissioned by Bank of America found that 49 percent of baby boomer respondents who aren’t currently making person-to-person payments using mobile technology offerings plan to do so before the end of 2017. Baby boomers only accounted for 20 percent of the survey respondents currently making mobile person-to-person payments. Sixty-eight percent of survey respondents said they made use of mobile person-to-person payments was in order to save time. The survey also indicates that the size of a payment is not an obstacle to whether a mobile person-to-person transaction is made. Nearly half of survey respondent said they would be comfortable sending making a payment of $1,000 or more. Story by Luther Turmelle for the New Haven Register. Ease of use is the key differentiator among retail bank and credit card mobile apps, according to the J.D. Power 2017 U.S. Banking App and U.S. Credit Card App Satisfaction studies. Customers prefer mobile to all other channels for interaction, but not all mobile apps are created equal. Data security remains a hurdle to new customer adoption. Even with the mobile channel having the highest satisfaction and consistency of all channels, adoption is stubbornly low, particularly when compared with overall smartphone penetration. 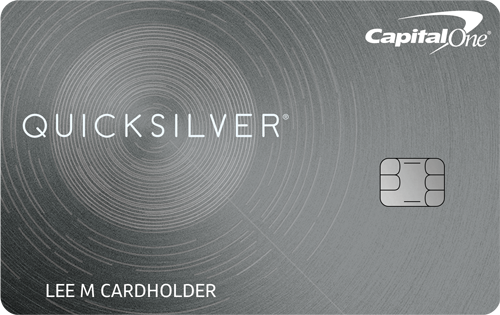 Discover ranks highest in overall satisfaction in the credit card category with a score of 895. 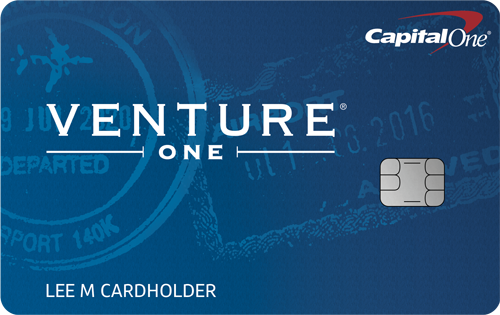 Capital One follows with a score of 888 and Barclaycard ranks third with a score of 886. The studies show that the specific features most commonly associated with ease of use are login process; access to account information; and overall ease of managing the account. Story by Tanya Gazdik for Media Post.